Corvette Racing has been one of the most dominant forces in North American sportscar racing ever since the iconic Corvette C5-R made its debut in the 1999 America Le Mans Series. It should come as no surprise that Chevrolet Canada has been a longtime supporter of sportscar racing at Canadian Tire Motorsports Park (CTMP), dating back when the track was known as Mosport. 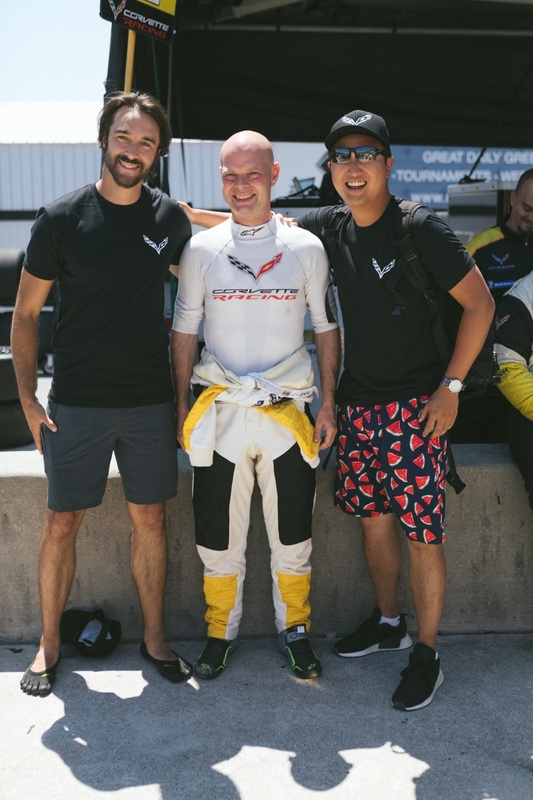 My friend Roland and I were lucky enough to win the ultimate experience at this year’s IMSA Mobil 1 SportsCar Grand Prix weekend at CTMP: a hot lap in a Chevrolet Corvette Z06 with retired Corvette Racing driver Ron Fellows at the wheels! Lucky winners of the #ChevyRaceFace contest. Maybe they’ll let us in a C7.R next year? Starting from the beginning, we made our mandatory pit stop at the Chevrolet Canada tent at the CTMP Marketplace. I say mandatory because the American automaker always puts their latest performance cars out on display every single year. It’s a great chance to get up close and personal with record breakers like the Chevrolet Corvette ZR1, Z06 and Camaro ZL1 1LE. Clearly, Chevrolet understands what race fans would like to see! For 2018, they also ran a #ChevyRaceFace contest that puts the contestants in a Camaro rigged up to fans that blow air in their face. It sounds silly, but there is also a slow motion camera set up to capture the hilarity. The contestant just has to post the video on social media to enter for a chance to win. Usually we don’t enter these contests, but we made an exception this year because the winners get to ride with retired Corvette Racing legend Ron Fellows on a hot lap around CTMP! Our ride for the day: the 650 hp Chevrolet Corvette C7 Z06! The track weapon of choice that day was a C7 Chevrolet Corvette Z06, putting out a healthy 650 hp and 650 lb-ft with its supercharged 7.0L LT4 V8 engine to the rear wheels. The coupe is finished off in a beautiful Sebring Orange Tintcoat paint. It’s also fully decked out in Ron Fellows Performance Driving School decals. And here is our hot shoe driver: Corvette Racing legend Ron Fellows! Hot laps are always fun, but what made this one special was the driver. Ron is a Corvette Racing legend, having won the 24 Hours of Le Mans three times in a C5-R. He’s also taken three consecutive ALMS GT Driver championships as well as a GTS Class Championship. The Canadian racecar driver played a big role in the success of the Corvette Racing program. Here is Roland trying to figure out if he could sweet talk his way into the driver’s seat. He could not. After going for a ride with Ron, I can safely say the man can still drive! I am sure he wasn’t pushing 100% with a passenger in the car, but I could see his inputs were extremely smooth and precise. It looked like he was barely even breaking a sweat! Part of the credit has to go to the car as the Corvette Z06 is a serious track weapon. I was probably the sixth person to go for a ride that day. The supercharged V8 was still running strong with no signs of overheating. 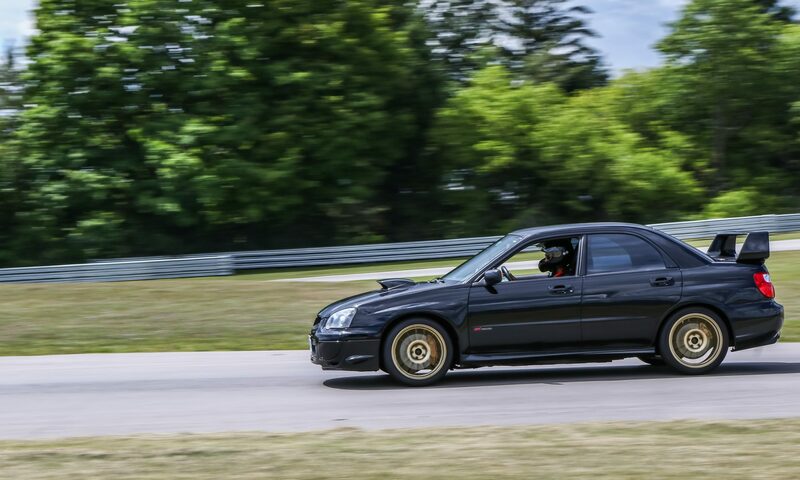 The Magnetic Ride suspension firmed up nicely on the smooth CTMP track surface. The big Brembo brakes had serious stopping power especially after the Mario Andretti Straight. By the way, we hit a top speed of about 148 mph (238 kph) at the end of the straightaway! Corvette Racing C7.R at the gridwalk. One of my favourite things about the IMSA races is how close you can get to the cars. After the hot lap and grid walk, it’s time for the main event: a 2 hours and 45 minutes multi-class race that puts Prototype, GT Le Mans and GT Daytona on track at the same time. Two of the best sounding racecar engines of today: the deep roar of the V8 Corvette C7.R and the ear piercing scream of the high revving flat 6 of the Porsche 911 RSR. In the GTLM class, entries include a pair of Chevrolet Corvette C7.R, Ford GT, Porsche 911 RSR and the new BMW M8 GTE. For the majority of the race, it was a tight battle between the Corvettes, Ford GTs and 911s. As the race wound down, the podium positions became a classic Chevy versus Ford battle. Battle of the Americas: Corvette C7.R vs. Ford GT at the 2017 IMSA race weekend at CTMP. Unfortunately for the Corvette C7.Rs, the #67 Ford GT made a perfectly timed pit stop right before a yellow flag near the end of the race, allowing the Ford driven by Richard Westbrook and Ryan Briscoe to rejoin the field in first place. Corvette Racing driver Jan Magnussen performing some PR duties before the race. Corvette Racing still finished the race with a double podium. The #3 driven by Jan Magnussen and Antonio Garcia took second place, followed by the #4 Tommy Milner and Oliver Gavin in third. Number 3 Corvette C7.R in the rain, taken at the 2017 IMSA race weekend at CTMP. The Corvette C7.R pulling into post race inspection. Racecars look their best with battle scars!